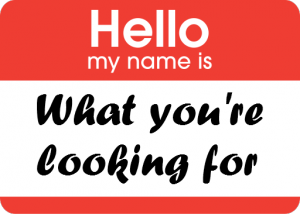 Home › Content Marketing › What Is a Title Tag, and How Do You Write One? What Is a Title Tag, and How Do You Write One? For those who are new to SEO writing, there can be a little bit of a learning curve, even if you’re already an experienced writer. You need to learn things like how to find and incorporate authoritative links, how to use keywords, and how to write title tags and meta descriptions. That last part seems to be difficult to master for many people, even experienced SEO writers, so we thought we’d take a few moments to review these topics, starting with how to write title tags for search engine optimization. The title tag, also sometimes called a meta title, is the title of a Web page that you see on a search engine’s results page. It’s that big, blue link that you click on to go to a page. Why Are Title Tags Important? It will encourage Google or Bing to rank the page higher in search results. It will encourage people to click on it. Satisfying both of these “audiences” is key to the practice of search engine optimization. The goal is to write good content that people will want to read, but if they can’t find it with a search engine or if the title doesn’t make them click on it, no matter how great your article is, they’ll never see it. How to Write a Title Tag: What Should You Include? You’re trying to please two different types of readers, so it’s important that you include something for each of them in your SEO title tag. For the search engines, make sure that you include at least one high-value keyword phrase toward the beginning of the title tag. Using more than one keyword phrase in the title tag is even better, but make sure it doesn’t sound forced. For the human readers, make sure to write a title tag that will make them want to click it. 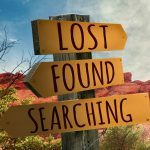 First, consider what the reader is looking for, based on the keywords you have: Is the reader looking for information, or are they looking to buy something? If they’re looking for information, you’ll want to be pretty straightforward with the title tag, using the keywords to show that this page has the information they want. But if the reader’s looking to buy something, give them a glimpse of why they should click and buy here. Think about what makes the client unique, what selling points they have that set them apart from other companies. Do they offer free shipping? Do they guarantee the lowest prices? Maybe they offer 24-hour support, or the largest selection, or bulk discounts. Almost every company has something like this, something that makes the company more appealing to potential buyers. Note that we didn’t include the name of the client here anywhere. More often than not, the name of the company just isn’t that important to the reader. If it’s a brand name that’s well-known enough that you think it might actually make people want to click on that page, put it at the end of the title tag, but usually, you’d be wiser to use those characters for something else. What’s the Max Title Tag Length? What Does a Good SEO Title Tag Look Like? Let’s look at a couple of hypothetical writing projects and examples of title tags that might work well for them. Project Title: Is Caffeine Addictive? Here, we’ve put the keywords up front and emphasized that this is going to be an educational article, which the reader is probably looking for. But just in case someone thinks they might have a problem and might want to talk to a professional about it, we’ve added a little extra information about that (and slipped in another keyword phrase in the bargain). We’ve got the first keyword phrase toward the front of the title tag. We’ve got a couple of nice selling points in there. And we’ve sprinkled in some of the other keywords, too. Note that we put in “decaf” and “black tea”: If you can’t fit in entire phrases without sounding redundant, it’s still helpful to get some of the individual words in there. Make sure to vary the wordings and formats you use if you’re writing multiple articles for the same client. It shouldn’t look like you created one title tag template and then just substituted different keyword phrases over and over. Title tags should be uniquely written and look like a real person took the time to create each one. Use the pipe character (|) rather than dashes to separate parts of a title tag: Pipes take up less space. If you’re not exactly sure whether the title tag should sound more educational or commercial, try plugging a few of the keyword phrases into a search engine and looking at the results you get. This is your competition: Write something like what you see, but better. Remember that keyword use should look natural and not redundant. If you have a bunch of very similarly worded keyword phrases, use the first one, then try to sprinkle in some of the unique words from the others. If you’re one of our writers, we also strongly recommend that you watch the video in our Writer Resources section on this topic, which was created by an expert in SEO writing best practices. Mindy Young, an editor for Online Writing Jobs, got her start as a newspaper copy editor after earning her B.A. from Russell Sage College in Troy, NY. She spent nearly 13 years editing stories, writing headlines, and putting together pages for daily newspapers, and along the way, she also had the opportunity to write food columns and restaurant reviews. After earning a pair of Associated Press awards and a Suburban Newspaper Association award, she left journalism for the world of content marketing, where she puts her skills to work every day for OWJ clients and writers.